Our filter element is made by CIP (Cold Iosstatic Pressing) from Ti fine powder or Stainless steel powder etc.) for many applications involving heat, gases, aggressive chemicals, cryogenics or polymers. Our sintered porous element can withstand temperature extremes, high pressures and repeated cleaning/back wash cycles. 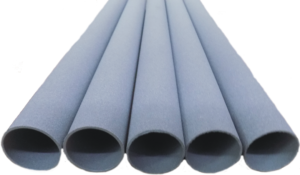 The normal specification of our seamless porous filter element is from 30 mm to 900 mm length and 10 mm to 80 mm diameter with different wall thickness and pore sizes (from 0.2 mm to 80 mm). We also can produce the product depends on the specification of the user’s requirement. And small quantity can be produced due to CIP technique.